United Arab Emirates, Dubai: In collaboration with Artspace Dubai, The Alfred Basbous Foundation inaugurated today its fourth exhibition in Dubai. “Figurative to abstraction”, a two part exhibition of selected studies, drawings and works of the late renowned artist will stay on view until November 10, and the second part taking place on November 23, until January of next year at the same location. Around 19 pieces of masterpieces were selected to be showcased for the first part of the exhibition. 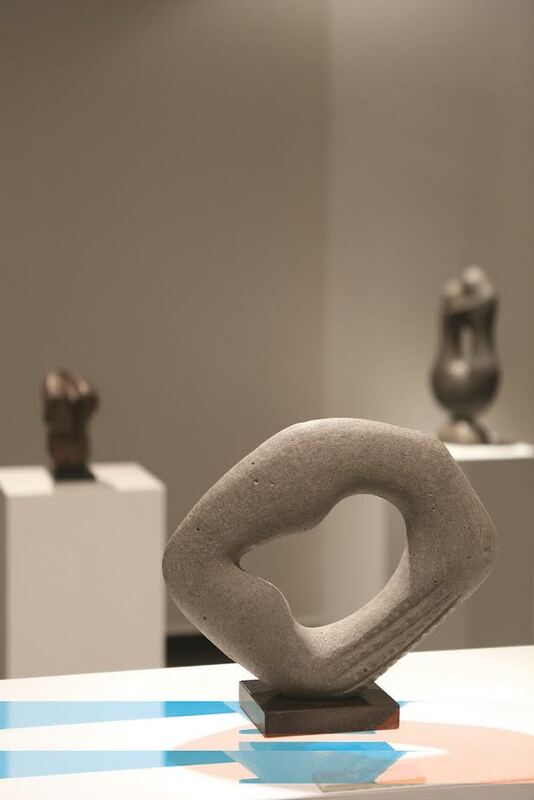 The art pieces are made from stone, maquette, drawings and bronze sculptures. Acrobats, Femme acroupie, Woman, Torse, Profile, Syrène are all pieces that were part of the “Figurative to Abstraction” Exhibition. These pieces suggest an inspiration rather than the literal depiction of object or form. Alfred Basbous’ works are not portrayals of reality, they are impressions of reality. He deals with shape without prior realistic perception, even when his creations involve human features. Alfred Basbous believes that the aim of art is to discover the shape; therefore he must overcome thought and imaging to detect the shape up to the ultimate expression. The art of Alfred Basbous is rich in modulation, because in his work he always tries to avoid the decoration, the cute and the stylish and go towards combining the aesthetic harmony in conflict and struggle in the same artwork. His artworks reveal their secrets to the observers without keeping them confused trying to interpret it. Basbous sculpted voluptuous and feminine forms which are unusually modern for their time. His work glorifies women in all stages of life: single or coupled, from birth to motherhood. The Alfred Basbous Foundation was established by Alfred Basbous in 2004 to foster an environment receptive to his work and bring modern arts to the attention of a growing public. The Foundation devotes all its resources to uphold the Basbous legacy at his home in Rachana and through exhibitions worldwide, grants to arts organizations and researches at the Alfred Basbous open air Museum. The foundation runs the estate of the artist and have the cultural property for the Bronze cast editions,The open air Museum and Garden, beautifully installed by Fadi Alfred Basbous in 2010 on the ground of its property in the heart of Rachana, houses the collection of the artist and hosts year-round exhibitions for the art lovers and glamorous crowd to celebrate Basbous inspiring creations.